Two renowned professors start to analyse ageing as they themselves near old age. 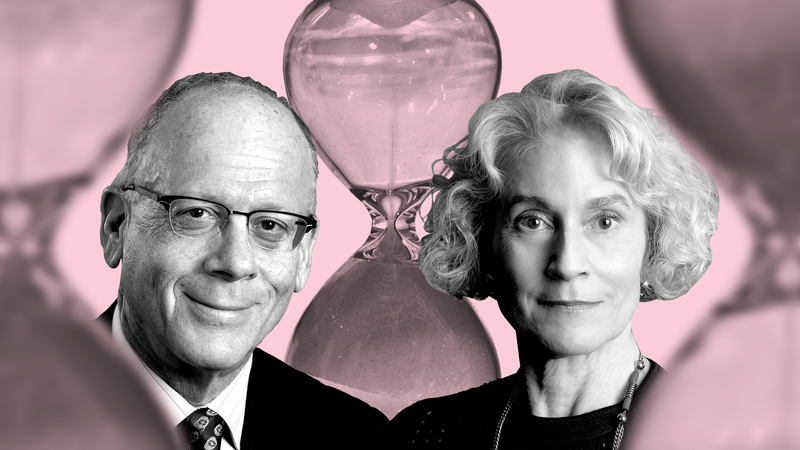 According to philosopher Martha Nussbaum, elderly people are often discriminated and face prejudices, while legal scholar Saul Levmore pays attention to how old people have a stronger social position than the young. Mirja Hämäläinen is a researcher and project manager at think tank Demos Helsinki. She is part of the team working on theme area Democracy and Capabilities. Mirja has a background in development studies and journalism. At Demos Helsinki Mirja has lead Safari, a project for societal involvement of young people and taken part in many projects dealing with migration and employment. The world-renowned philosopher Martha Nussbaum – who has been developing the capability theory and the philosophy of emotions – and the nearly equally famous professor of law Saul Levmore, from the University of Chicago, were visiting lecturers at the University of Helsinki in early June 2017. They are working on writing a book together with a working title of Aging Thoughtfully. Nussbaum and Levmore are both over 63 – the retirement age in Finland. Nussbaum turned 70 in May 2017. The topic of Nussbaum’s presentation in Helsinki was “Aging: Stigma and Discrimination”. Nussbaum, who started her career studying classics, explained how a Roman-era author, Cicero, discussed ageing in his essay On Old Age. In it, old Cato the Elder engages in a dialogue with his young friends, in which he aims to abolish the myths associated with ageing about being weak and silly. Nussbaum claims that our society significantly discriminates against the elderly. In her earlier writings, Nussbaum has written about discrimination towards other groups, such as homophobia, racism and sexism. Nussbaum feels that all types of discrimination are the same and their roots lie in disgust. A group that is subject to discrimination is often associated with many characteristics that are considered disgusting, such as emitting unpleasant odours, for instance. But there are also differences: for example, discrimination based on ethnicity is based on imaginary things, whereas the stigma associated with ageing is truthful in the sense that elderly people are statistically closer to death than young people. According to Nussbaum, this type of disgust has been beneficial in evolution and, according at least to some studies, some children naturally avoid very old people. The disgust for the bodies of the elderly is also the fear of one’s own body becoming the same one day. However, Nussbaum feels that the stigma and discrimination associated with ageing are partially based on completely imaginary things. It is prejudiced to think that the mental capacity or even physical fitness of all elderly people is reduced. Martha Nussbaum herself is an excellent example of a capable senior citizen. She runs half-marathons, goes shopping with her younger friend and writes high-quality philosophical content. She also pays close attention to her appearance and clothing. In a profile published in the New Yorker in the summer of 2016, Nussbaum said she still cares how men see her, because she likes men. In conjunction with her presentation in Helsinki, Nussbaum said that although she feels power in numbers is important when defending the interests of ageing people, she has been reluctant to join interest groups for the elderly – even though she has often been asked to join them. If the individual is capable, he or she should not be forced to retire. According to some studies, retirement is a risk to personal health and well-being. In addition, many researchers have produced very valuable content at a very old age. However, Nussbaum concedes that it is not possible to continue in all professions as long as one can as a philosopher. Saul Levmore delivered a presentation after Nussbaum entitled “Regulating Retirement and Wrinkles”. The thoughts he presented were in many ways the opposite of Nussbaum’s, which resulted in a very interesting, contrasting dialogue at the event in Helsinki. According to Levmore, ageing people hold a position of power in society and he is not concerned with the stigma or disgust associated with ageing. Levmore feels that society does not need strict regulation concerning discrimination against ageing employees. He feels that such regulation results in negative indirect consequences, such as employers avoiding hiring middle-aged employees simply because they feel they might not be able to get rid of them. According to Levmore, this type of strict regulation is particularly harmful for women who want to wait until after raising their children to enter employment. Instead of regulation targeting age discrimination and pension systems, Levmore feels instead that something such as cosmetic surgery poses a greater problem that requires government intervention, largely because of the amount of money being spent on it. After the two presentations, we held a short joint interview with Martha Nussbaum and Saul Levmore. Below are some excerpts from the interview. A small Japanese town, Onagawa, has started rebuilding after the serious damage it sustained as a result of tsunami and the Fukushima nuclear accident. The rebuilding effort is to last 20 years. In order to accomplish this, a committee has been established, which has decided that those over 60 will not participate and will make room for younger people. This was done because those over 60 would not necessarily be there to take responsibility for the consequences of their decisions in the final stages of the project. What do you think about this? Nussbaum: I think that a majority of the problems people have involve several generations. We will all already be dead before we create a just society, protect the environment and stop global warming. Levmore: But imagine if we had a committee that was established to create a learning and development plan for a kindergarten and it only had members that were over 60. I, for one, would feel that would be a bit strange. N: But in that instance it wouldn’t be about them not living to see their plan being fulfilled. Why is it so difficult for you to join interest groups that promote the interests of the elderly? N: In my presentation, I gave it as an example of the stigma associated with ageing being so strong. L: The two of us are very lucky people, who are able to work, live a good life and we are not discriminated against in society. We do not need senior discounts. The organisations that represent pensioners really do not represent me. Instead, they represent those who have a more difficult situation. Do the elderly have something special to offer society? For example, the grandmother’s role as a nurturer, what is known as the “grandmother effect”, which argues that women that become grandmothers are beneficial to the survival of their grandchildren. N: I don’t believe in this type of ‘grandmother’. My own grandmother was a tough, selfish and unpleasant person. She did not have these grandmotherly nurturing traits. You can’t assume that all people who have grandchildren will be of a certain type. However, life experience and many different perspectives are good and beneficial things. What is ultimately wrong with a compulsory retirement age? Young people are also bound by age limits, such as the legal age for driving a car or purchasing alcohol? How are these two things different? N: I feel that these age limits for young people can be justified because youth is about preparation for becoming a full, equal member of society. L: Why don’t you [Nussbaum] feel it is shocking that even if a 14-year old could pass all the driving tests, he or she still wouldn’t be able to drive a car? Isn’t this comparable to the question of retirement age? L: You soon will not be able to work. N: Unlike during childhood, the elderly have great differences in their mental and physical capabilities and the associated changes. A 95-year-old may be much more productive than a 25-year-old. For the elderly, it makes much more sense to assess the individuals and their capabilities. L: I don’t understand. I feel that there is a lot of variation at both ends of the age spectrum. For example, I feel there are a lot of 30-year-olds who should not be driving. I feel that the reason why young people and the elderly are treated differently is that the youth have less power to influence. There are a lot of politicians in the most important positions that represent the interest of 80-year-olds, but a lot fewer who represent the interests of 12-year-olds, for example. Young people are discriminated against, but I do not see anyone – including Professor Nussbaum – who is visibly opposed to this discrimination. People are actually very nice to old people. If you want to vote for an 80-year old, it’s easy. If you want to vote for Trump, you can even do that. Traditionally older people are thought to possess better capacity of empathy because of their broader experience on different types of situations and handling with their emotions in different contexts. At the same time older people possess shorter personal horizon to the future, meaning they potentially don’t consider some long-term issues (like climate change) as personally meaningful. When our populations are getting older, how does that affect the way people perceive their moral agency? Nussbaum: I actually don’t think elderly people are traditionally credited with having empathy. From Aristotle’s Rhetoric on they are thought to be selfish and concerned only for immediate survival and enjoyment. That is frequently true, and it is that sort of selfishness that retirement communities often exploit and magnify. But elderly people also want to leave something behind them, and this desire for a vicarious immortality can lead to all sorts of good things, such as financial altruism, creative achievement and concern for a better world. Climate change is a problem for all living people, since its effects will be felt primarily by our grandchildren. So, we need extended altruism and we all need to cultivate a sense of participation in the future of humanity. Evidence-based approaches and experiments – Towards progressive policymaking? Could compulsory education last a lifetime? The third part of the Next Era discusses progress from various viewpoints and presents a new pluralistic view on progress in post-industrial era. The articles provide viewpoints on the current turning point and its social effects.